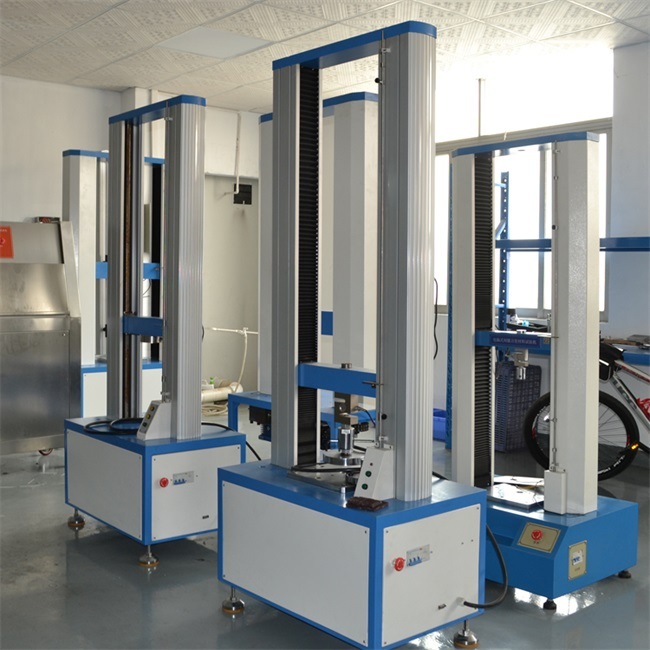 Computer control tensile testing machines are suitable for tensile testing, compression testing and all other special load test for non metal material for example, plastic, rubber, thread, wood, alloy, PVC, spring, electrical wire and cable, composite, profiled bar, waterproof roll, etc. 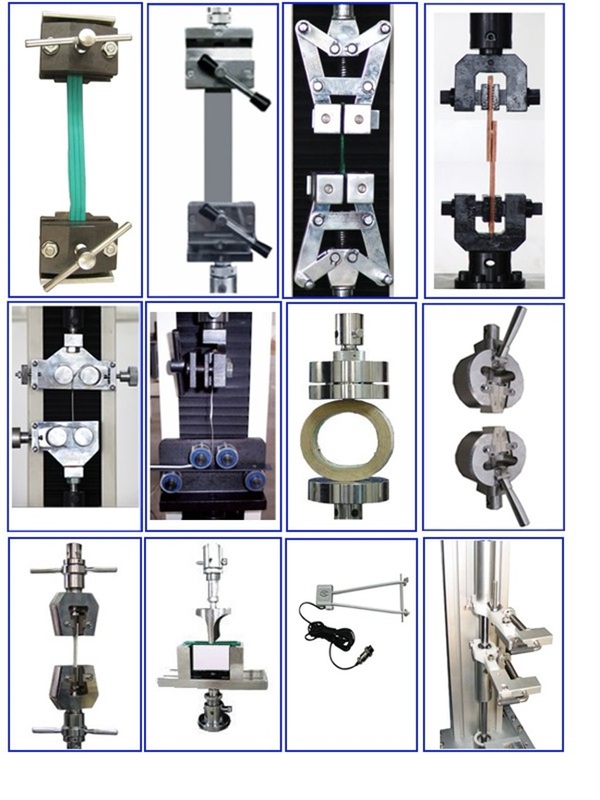 Add relative optional accessories, this tensile testing machine is easy to achieve the test of bending, shearing, peeling, friction, tearing, puncture and hardness test. 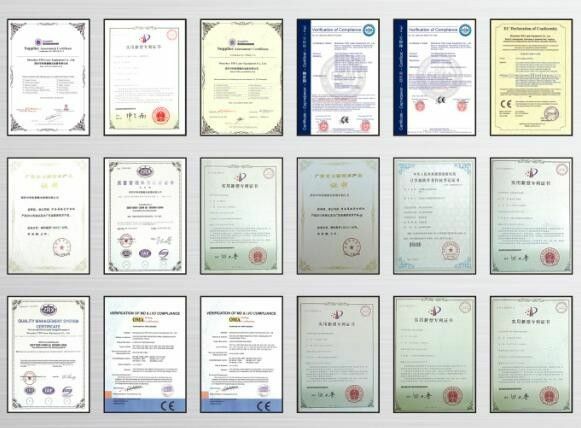 They are essential testing instruments for quality testing section, university and college, research institution and industrial and mining enterprise. 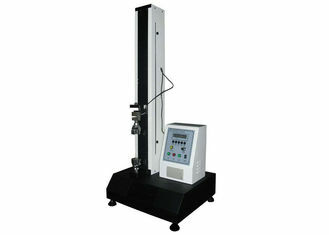 The machine is calibrated as ASTM E4, ISO 75001 international standard. By adding different grips it can do the test of ISO 527, ISO 8295, ISO 37, ISO 178, ISO 6892, ASTM D412, ASTM C1161, ASTM D882, ASTM D885 ASTM D918, ASTM D1876, ASTM D4632 and all the force and extension JIS, DIN, BSEN testing standards. 2. Screw shield is made of aluminum extrusion forming, surface sandblasting, anode bright silver procession, exquisite craft. 3. Machine shell is sprayed with advanced electrostatic powder. 4. The up and down stroke micro-adjust switch with automatic reset function. 5. Fast disassembly type connector, can easily replace different function fixtures. 6. Machine protection: Over-stroke, overload, emergency switch protection. 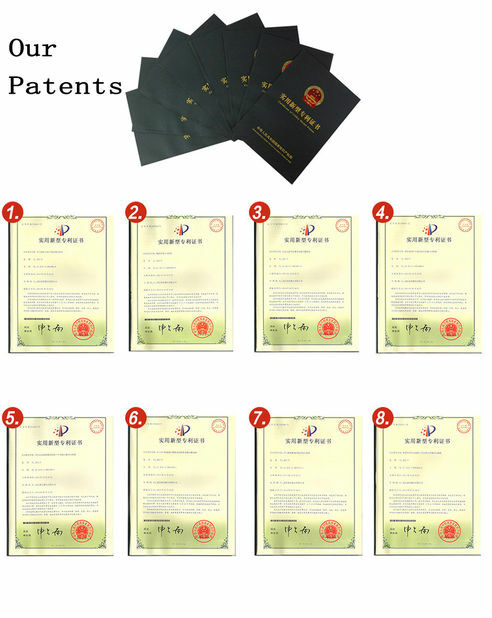 Apply to metal, plastic, paper, color printing package,Various material, finished products, semi-manufactured goods.Using different clamp can do resistant pull test, resistant press test,Bending test, tearing test etc.